No graphical dependencies,that’s why it’s independent of Ubuntu desktop i.e wicd can be install in KDE(kubuntu),GNOME,XFCE.. It can establish Wired(Ethernet only) and wireless network(s). It displays a tray icon for network activity and signal strength. supports for many Encryption(WEP/WPA..) schemes. Wicd can be installed on Ubuntu 10.04 ..in a number of ways – from Synaptic Package Manager ,ubuntu software Center or from Terminal. #1. Open Synaptic Package Manager and search for “wicd”. #2. Then mark the box(In the row which is related to wicd) and click ok to select dependencies(If asks). #3. 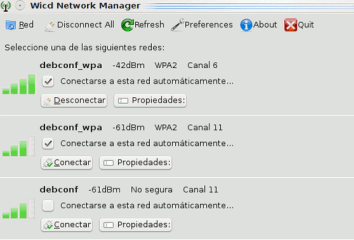 Then click on Apply in SPM to install wicd in ubuntu.Then wait until the installation is complete..
#4. That’s all …you have installed Wicd on your ubuntu 10.04 -Lucid Lynx successfully..
To open/configure Wicd ,go to Applications->Internet->Wicd.